This is a recipe I got from my friend’s mom, Gerry Sabado. 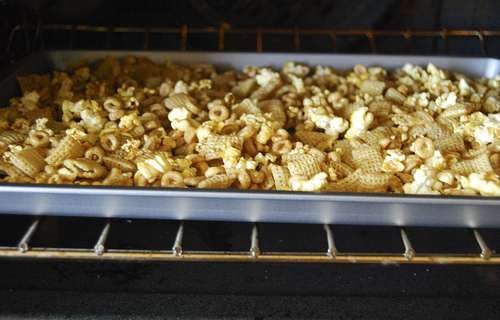 Her caramel corn was always a big hit on road trips, swim meets and gatherings. This snack is so addicting! 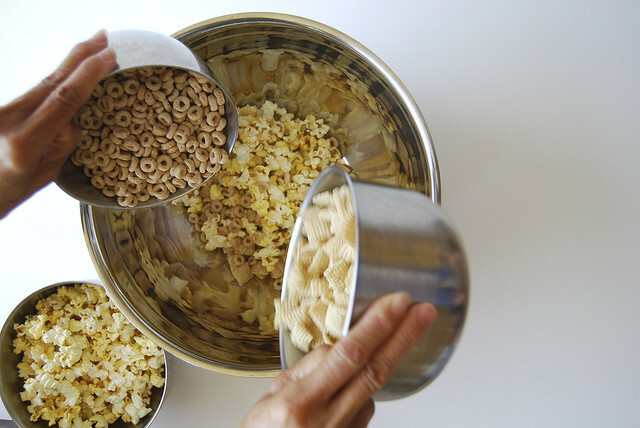 Mix popcorn, Cheerios, Rice Chex, and peanuts in large container. Set aside. 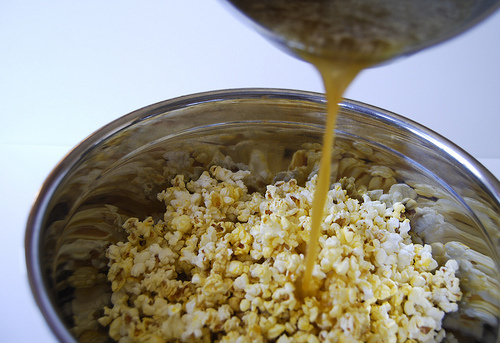 Use deep pot & boil margarine, brown sugar, and Karo syrup for 5 minutes, stirring so as not to burn mixture. Remove from heat and stir in vanilla and baking soda. 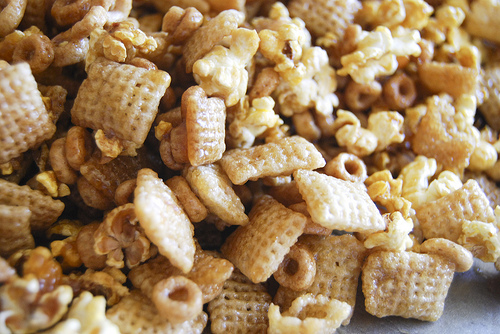 Pour caramel mixture over cereal mix. 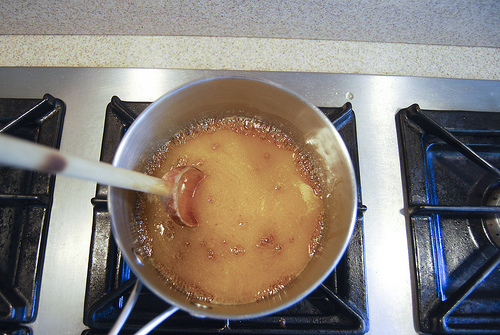 Stir well to distribute caramel throughout mixture. Bake 1 hour at 250 degrees. Stir occasionally. Remove and cool completely. Break apart and store in a tightly covered container. Enjoy! Great pix! Looks so yummy!